PHNWD presents: Jesus, The Priceless Gift! 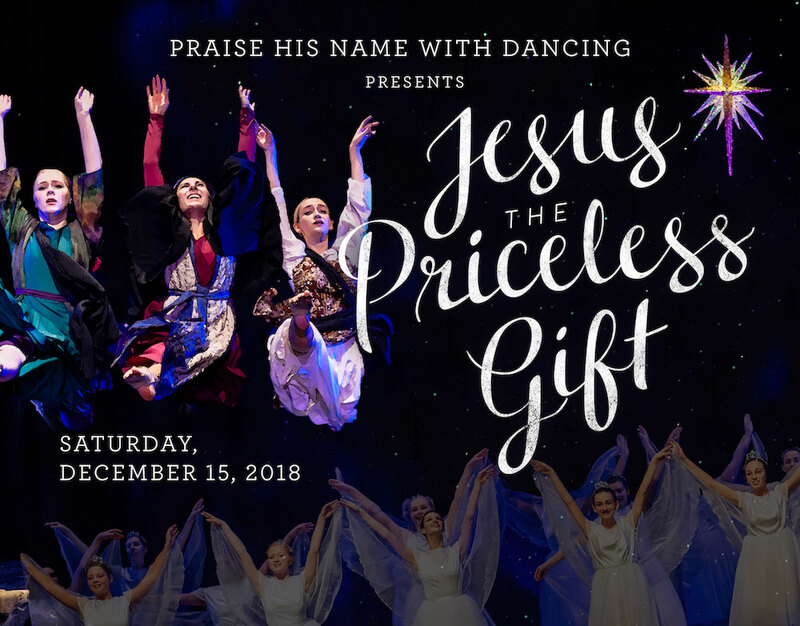 Saturday, December 15, 2018 at 3:00 and 7:00 p.m.
Come experience the life-changing joy of the greatest gift of all time! 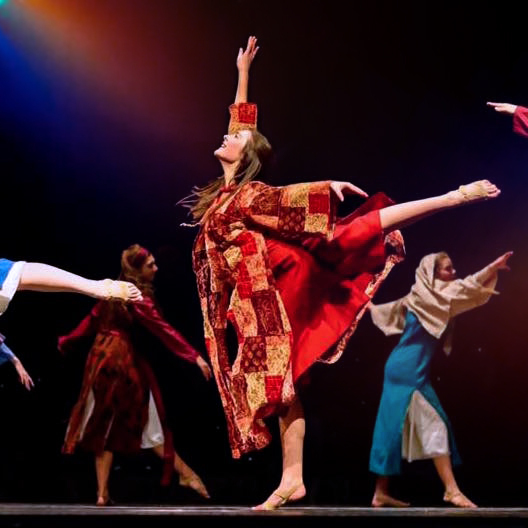 As we celebrate Jesus, the Priceless Gift, through dance and drama, let the true Christmas story captivate you eyes, engage your mind, and fill your heart! A children's dance workshop will be offered during the intermission of the 3:00p.m. celebration. Click here for a printable flier. Thank you, again, for all you poured into this past celebration in June, and your faithfulness to a great 2017-2018 season! 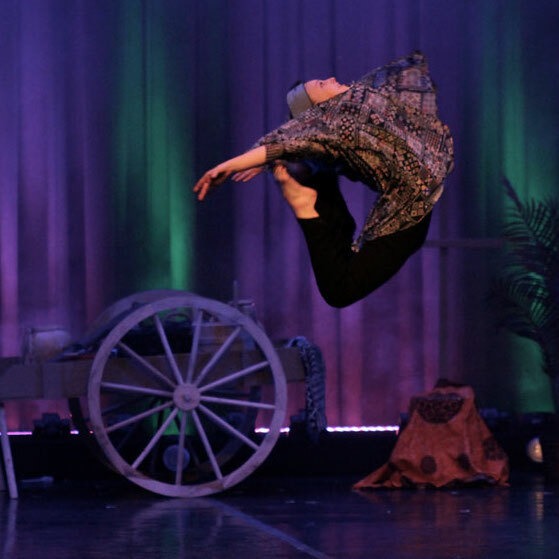 As our summer session comes to a close, we are preparing for the new 2018-2019 season and look forward to dancing together again! We begin each class with Bible memorization using American Sign Language, and prayer. Each class on Monday then works on learning the disciplines of classical ballet technique, or creative movement for our youngest students. 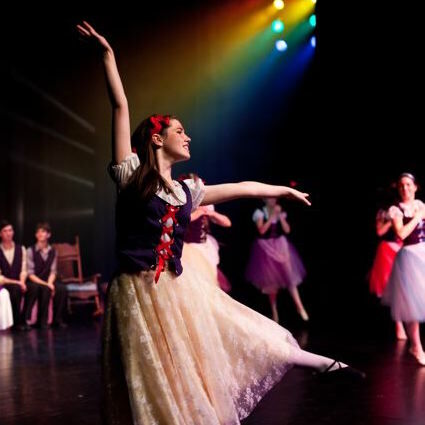 Subsequent class days for Company students are spent continuing our classical ballet technique, pointe, modern dance, contemporary dance, or other dance styles depending on the class choreography! If you are interested in taking classes, or would just like more information, please click here to send us an e-mail. Please view our calendar page for a view of upcoming important dates. ©2016 Praise His Name With Dancing.